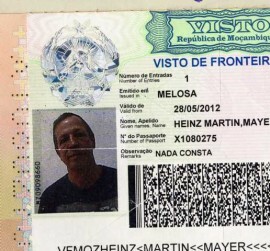 We had not yet our all-important visa to enter Mozambique when we arrived at the border. We crossed at a very small post. 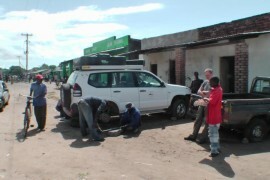 The local authrity was a little bit overwhelmed as he had to handle two foreigners at the same time in a correct manner.